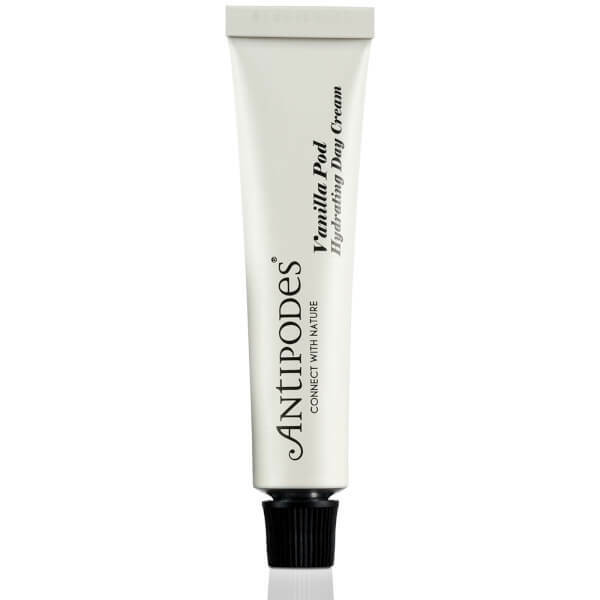 Prepare your complexion for the day ahead with the travel-sized Vanilla Pod Day Cream from Antipodes, an organic skincare brand from New Zealand that prides itself on being nature-conscious and aspires to the lightest of carbon footprints. Infused with a delicate fragrance of Vanilla Pod and Mandarin, the lightweight but intensely moisturising formulation is enriched with a blend of skin-enhancing Antipodean bioactives sustainably sourced from New Zealand’s pristine natural rainforests. 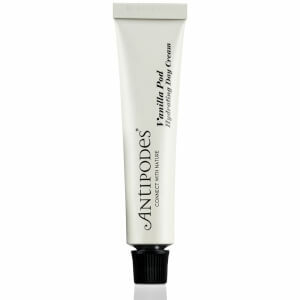 Vinanza Grape, a potent antioxidant extract from Marlborough sauvignon blanc grape seeds – works to protect skin from external aggressors whilst improving elasticity and firmness, whilst New Zealand-native superfood, Manuka Honey, bestows skin with potent anti-blemish benefits to promote clarified, blemish-free skin. Packed with essential fatty acids, anti-ageing ingredient Rosehip Oil helps to minimise the appearance of wrinkles and scarring to leave skin smooth and even. Aqua (Water), Butyrospermum Parkii (Shea) Butter, Squalene (Vegetable) Extract, Leptospermum Scoparium Mel (Active 20+ Manuka) Honey, Persea Gratissima (Avocado) Oil, Macadamia Ternifolia (Macadamia Nut) Oil, Rosa Canina (Rosehip) Oil, Cetearyl Olivate, Sorbitan Olivate, Lecithin (Vegetable) Extract, Vitis Vinifera (Vinanza® Grape Grape Seed) Extract, Macropiper Excelsum (Kawakawa Leaf) Extract, Gluconolactone, Sodium Benzoate, Calcium Gluconate, Essential Oil Fragrances Of Vanilla Pod And Mandarin: Coumarin†, D-Limonene†, Linalool†, Citral†, Geraniol†.